Quinoa has been labeled one of the world’s healthiest foods. The nutritional benefits far exceed those of wheat, oats, brown rice and other whole grains. If you have not tried quinoa I suggest you give it a try. Costco sells it in a 5 lb. bag and it’s the perfect amount to keep stored in your fridge (or freezer) to try over the next several months. 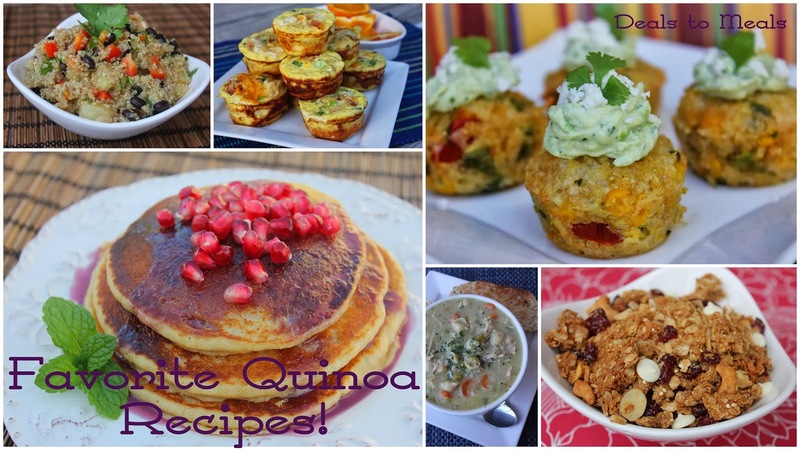 I personally love quinoa and it wasn’t until recently that I had seen recipes using quinoa as a breakfast cereal. What a great idea! Why didn’t I think of that? I found a recipe for pumpkin quinoa, changed a few things, added a brown sugar crumble for the top and loved the results! I have to admit I like the pumpkin oatmeal recipe a little better, but if you are gluten free or want a breakfast packed full of amazing nutrients, this recipe is perfect. It’s hardy, healthy and will keep you nice and full all morning! In a medium sized pan stir the pureed pumpkin, water, quinoa and salt together. Turn the heat to medium heat and bring the items together to a low boil. Put a lid on the pan, turn the heat to low and let the quinoa simmer for 15 minutes. Remove the lid and fluff the quinoa with a fork. Stir in the milk, cinnamon, brown sugar, and vanilla. Once combined, you can serve the quinoa with a little more milk, brown sugar crumble and fresh fruit, if desired. NextDon’t EVER pay full price for groceries! What is a good price for quinoa? I've never bought/considered it before, so I have no idea! It sounds great though. Sadly, I haven't found a great price on quinoa yet. Costco is the least expensive that I have found. Winco also carries it in bulk. It is about $1-$2 a pound I believe. I keep my bags in the freezer so they last longer since I don't use it every day. In a basement or a cool, dry place would also be fine. Thanks for your comment. Memorial Day Grocery Savings–save up to 60%!